Tommy is the jukebox musical from The Who’s concept album of the same name. It started its life in 1993 on Broadway, and has developed a number of times for each production since then. 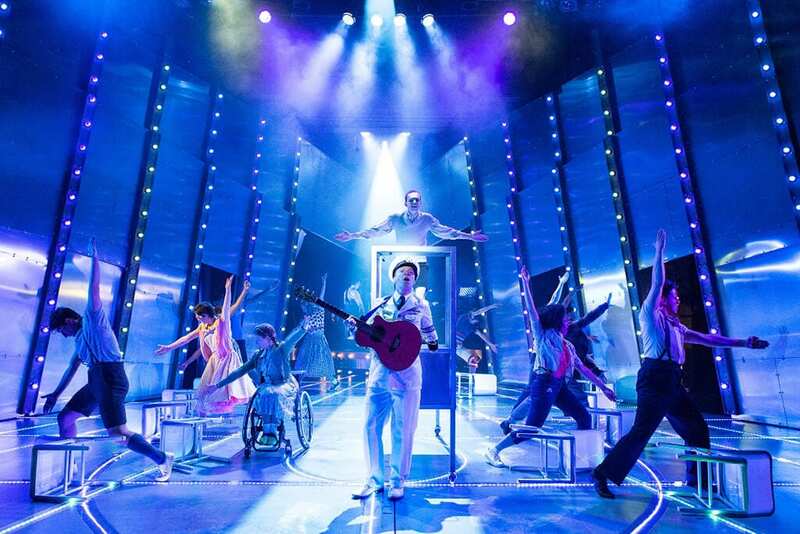 Kerry Michael’s version for Ramps on the Moon places an inclusive disability aesthetic at the forefront of this new touring production. The musical itself is slow and long. It takes a good while before any kind of narrative emerges, and when it does it doesn’t really develop. Instead it loops and winds around itself, proving that perhaps the concept album stands out more than anything else where Tommy is concerned. 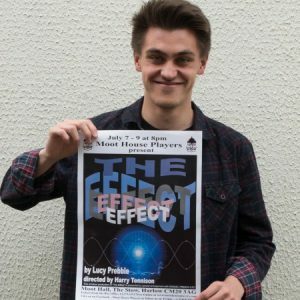 The inclusion of signing into the movement of the actors makes for a real clarity of communication, with barriers broken down further using captioning the performance. 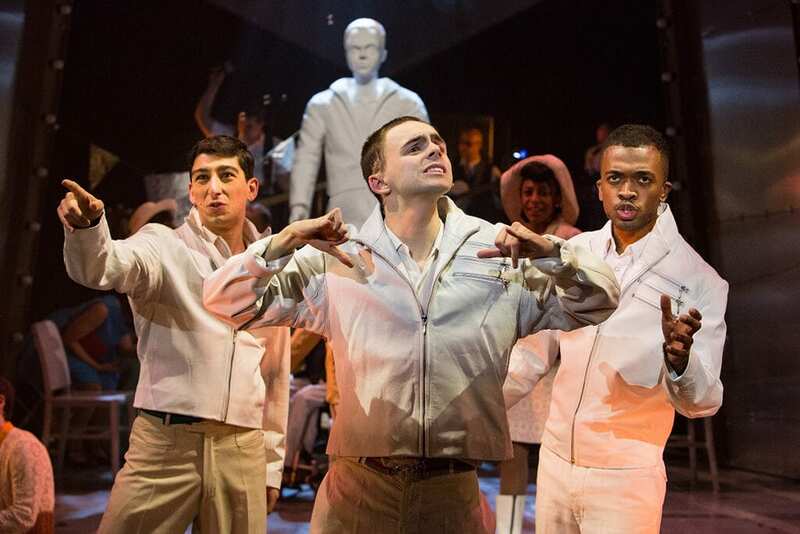 Ramps on the Moon seek to reframe the way that theatre is made and seen for Deaf and disabled people and Tommy is a bold step in this direction. Michael’s staging often, though, finds the stage cluttered with a combination of unnecessary set and movement. Upon exiting, actors circle the action several times. The walls are pulled forward and turned into doors only to be replaced nearly instantly. Much like in other recent Rep musical, One Love, the use of projection feels more than required; we know where we are and the text is excessive. It distracts from the fine performances onstage, and makes the whole thing feel bagged down. 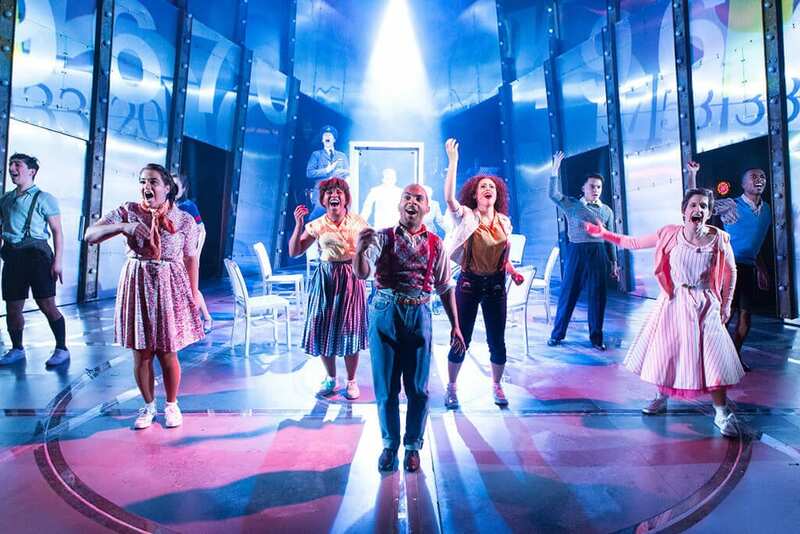 Peter Straker’s Acid Queen gives us the best song – by far – of the whole show, however Townshend’s new addition to Act Two doesn’t match the style of the rest of the music and so sticks out more so. There is a real tenderness and vulnerability to William Grint’s Tommy which he sheds as the evening goes on. Julian Capolei and Natasha Julien are both extremely watchable, and Max Runham provides us with an expertly sung sense of continuity in an otherwise largely confused musical.